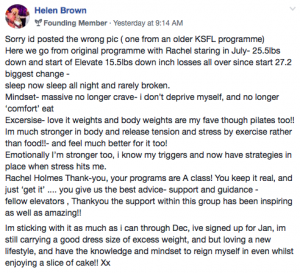 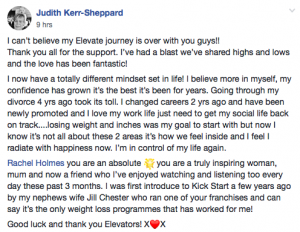 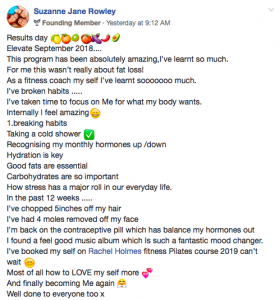 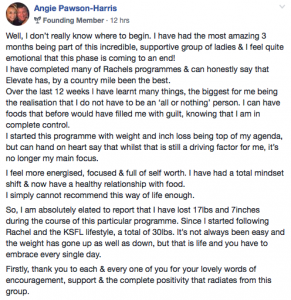 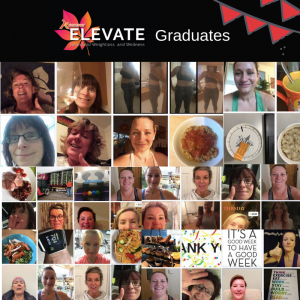 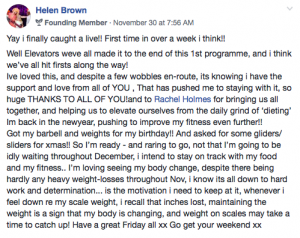 We are so proud of our fabulous Online Kick Start Elevate with Rachel Holmes Graduates who have just completed 3 months of our wellness and weight loss overhaul! 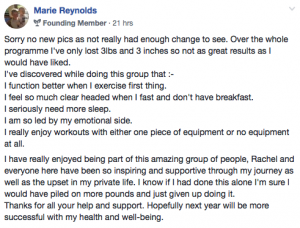 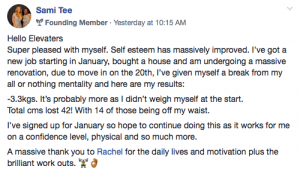 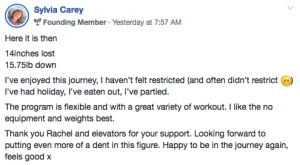 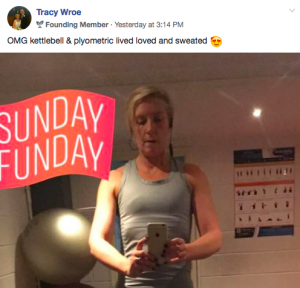 Every person has been on their own individual journey working out what works for them through Rachel’s daily coaching and nutritional protocols. 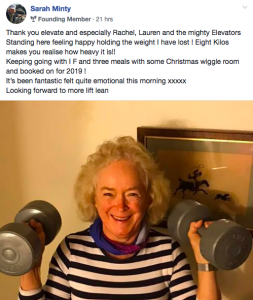 Every morning they have had a new workout to challenge them and work on strengthening their bodies and improving their mental wellness. 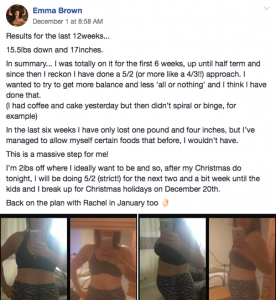 The team really pulled together supporting each other through the many ups and downs that happen in 3 months and managed to come through the other side feeling fantastic! 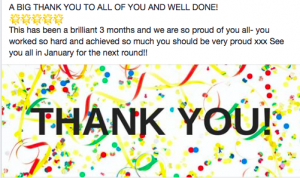 We have been overwhelmed with the reviews/ results from everyone and we cant thank them enough for working so hard and making it an absolute pleasure. 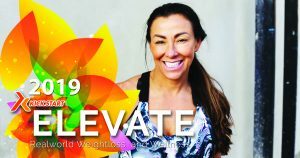 We can’t wait to see you again for January Elevate! 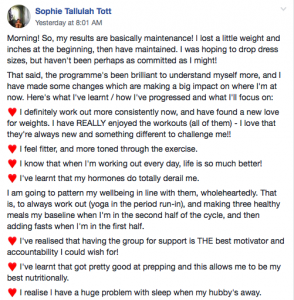 Are you up for the 2019 Challenge? 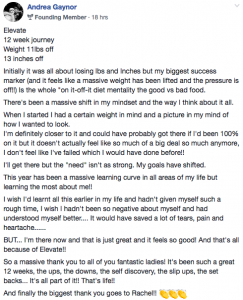 Whatever your goal be it weight loss/ health / wellness- we can get you there!! 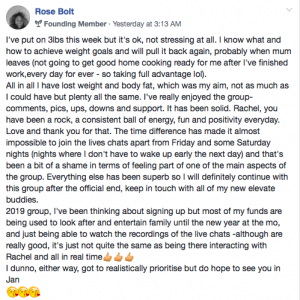 High-Performance Living – Daily Coaching with Rachel – Working On Your Goals every day – Choice of 3 daily workouts – Mindset coaching and motivation – Powerful Motivation every single day. 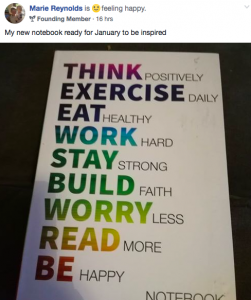 Excel in ALL areas of your life – Improve your health – energy – vitality – productivity – body – sleep – emotional health, physical health, intellectual health. 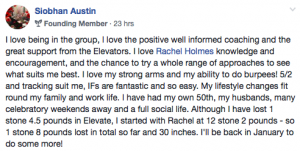 ELEVATE your Mind and Body.